How do you feel about your property? Do you protect it? Think of your physical property. If someone spray-painted degrading words all over your house, vehicle, or something else that you owned, would you ignore that action? Do we allow ourselves to degrade our own property, by perhaps letting weeds take over the lawn, by letting the wood rot because the paint has chipped and fallen off, or letting our porch turn into something as bouncy as a trampoline? While we may all wish that we had more time to address improvements to our physical property, we certainly do as much as possible to protect it and keep it in good standing. We know that any form of degradation to it may reflect unfavorably on how others think of us. However, what about when it comes to our online property? Many companies have taken the important step of adding social media to their marketing mix. They may have created a Facebook page and a Twitter profile. They may have a YouTube channel. They may have a blog. These types of channels can bring success to our business. However, we must also treat them as property that deserves to be watched over and cared for. Social media has enabled people throughout the world to have a voice. If they hate your brand, product, or service, they simply need an internet connection to share their feelings with thousands of people within a matter of seconds. Are you listening for that sort of chatter? Do you have a plan in place for how you will handle it? If we choose to ignore it or simply live in a space where we don’t even know it’s happening, we are certainly allowing our company to be positioned in a negative light. Like physical property, we also could be the one responsible for degrading our brand. It certainly is an important step to create a blog, a Facebook page, a YouTube channel, a website, etc… But if we neglect and leave those channels alone for long periods of time, we are in essence allowing the weeds to overtake our property. We must have a strategy and plan in place to post compelling content on a consistent basis — and then we must make executing the necessary steps a priority. 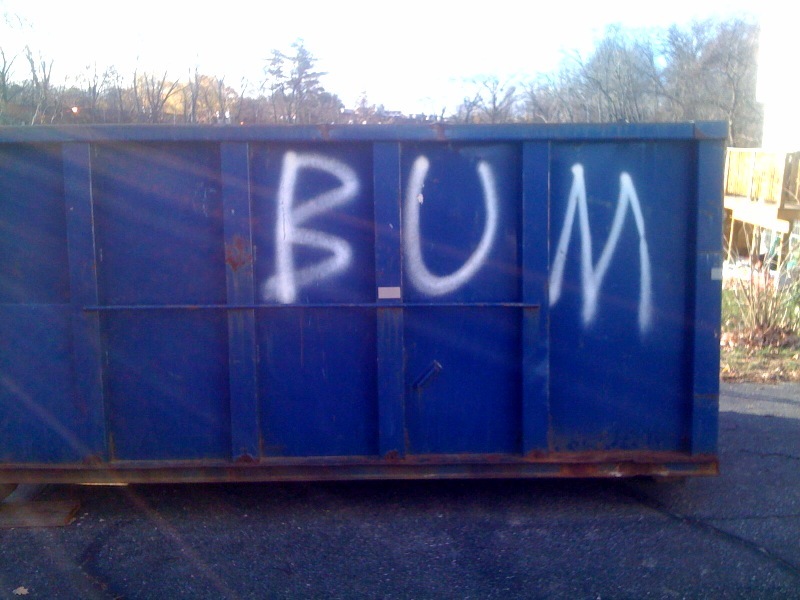 Nobody likes to be labeled a “bum”. Not even a dumpster.